Just got back from a trip to the Moon! And by the moon, I mean Ridgecrest, CA. 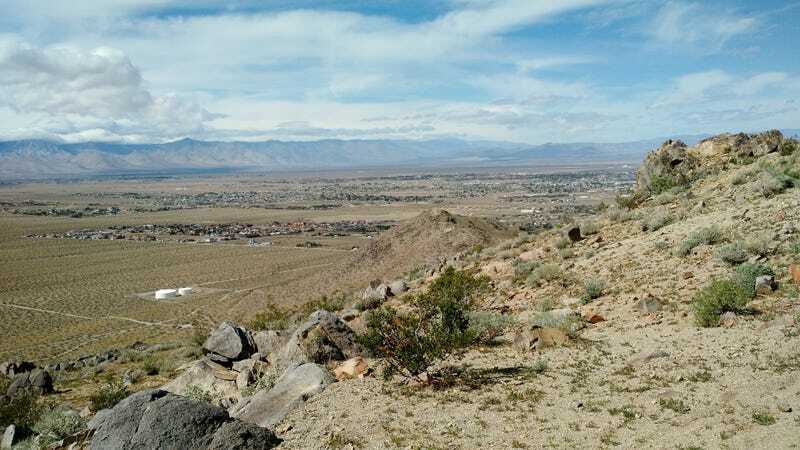 That area is part of the high desert (2000+ feet ASL) in Southern California. It is rather remote and also VERY different than Los Angeles for sure. That is one of the crazy parts to me about living in Southern California now, is just how varied the landscape can get within just a couple hours of driving. Leaving at around 9pm on Monday, I was able to get up there at about 11pm, which was a good 20 minutes faster than google maps predicted. Desert highways tend to be very straight and empty at that hour! Of course I took the STi up there since it was going to be a bit cold, windy, and all of my driving would be in the dark on straight roads anyways. That was the first real highway trip for the car and at that pace going up there, I was able to eek out 21mpg in the car. Best mileage yet! I would think if I could do a highway trip at closer to 65-70 then I could probably actually achieve the EPA rating of 24mpg but that’s no fun! Not my picture, but representative of the area for sure. It was like being in a bowl made of mountains. Seeing as it was 28 degrees (F) when I woke up on Tuesday, this was also the first time I have found actual cold in California as well. While I have spent plenty of time outdoors in a nice humid -10 or lower while skiing back east and was actually sweating still, this was still chilly. It of course warmed up during the day but I was indoors most of the day anyways. Being up there really did feel like I was on another planet. It is just so vacant, desolate, quiet, and honestly quite beautiful in its own way. I am glad to live back in civilization with all of its noise and chaos but its nice to explore areas like this as well. I dont know if I could ever see myself going up there just for fun (other than further north for skiing) but I am sure there is some cool hiking that would be worth visiting. Except in the summer, then I might as well be on the sun with how hot it gets up there.